View the A & B Week Calendars here. 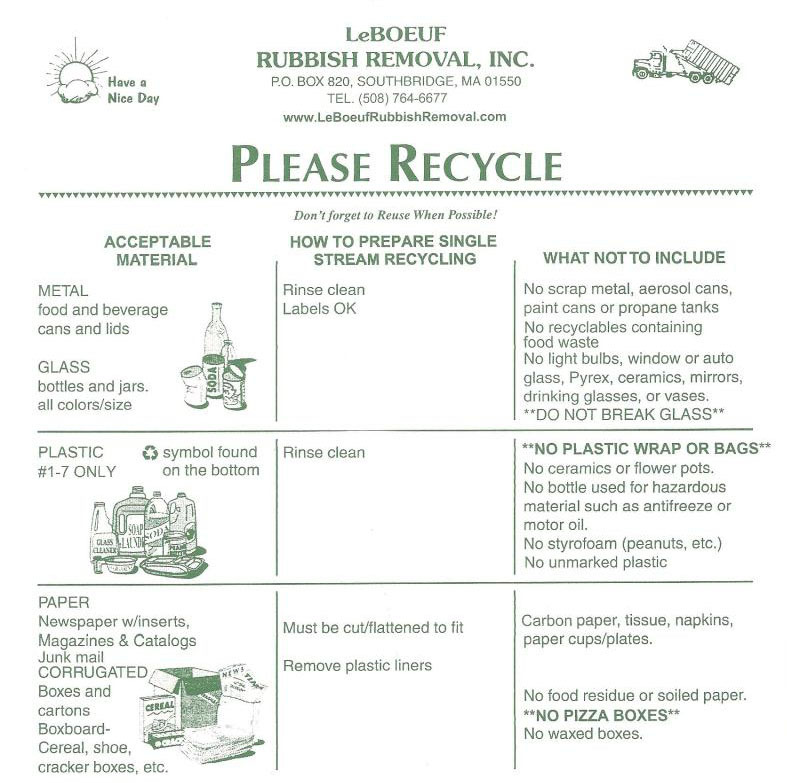 ** Recycling is done in all towns. Call for additional information.